Product prices and availability are accurate as of 2019-04-19 03:57:08 UTC and are subject to change. Any price and availability information displayed on http://www.amazon.com/ at the time of purchase will apply to the purchase of this product. Love spell contains detailed instructions suitable for beginners and includes all the necessary ingredients. Created by Witch and Ritual Magician Frater Benyacott. 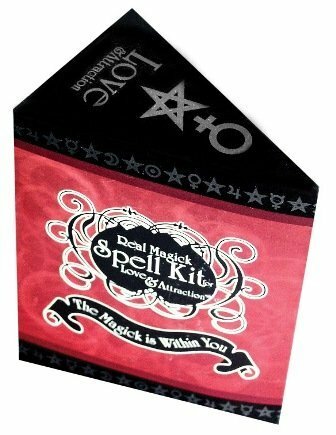 Six different spell kits are in this line: Love & Attraction, Wealth, Confidence, Protection, Success, and Witches' Real Magickal Tools & Rituals Kit. Size: Triangle box is 5" x 4"